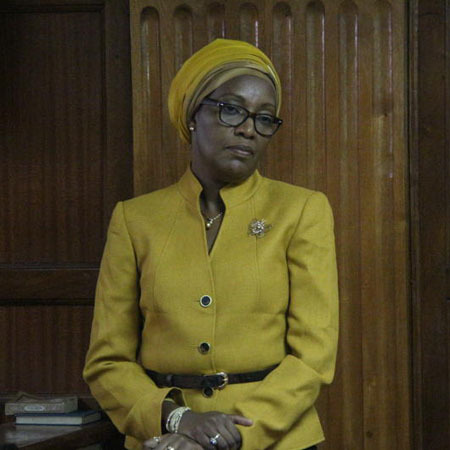 Home NEWS Former MP George Thuo’s widow seeks to stop Sh28.5m graft case. Former MP George Thuo’s widow seeks to stop Sh28.5m graft case. Judy Wamaitha Thuo, widow of the late Juja MP George Thuo, in the dock on September 23, 2014. The widow to former Juja MP George Thuo yesterday filed yet another application in court seeking to stop a case in which she is accused of irregularly receiving Sh28.5 million from the Kenya Pipeline Company. Judy Wamaitha Thuo and her co-director at Redline Company Limited Ngatia Ndung’u have filed the petition claiming that the charges against her and the others are fatally defective and unsustainable. The duo were on November 30, 2015 charged with accepting payment for work not done and were supposed to have installed transformers. They are charged alongside four former KPC managers who denied counts of abuse of office, false documentation and irregular payments contravening procurement laws. They argued that at the time they were under investigation, the Ethics and Anti-Corruption Commission (EACC) did not have commissioners and the Court of Appeal in the case of former Transport Cabinet secretary Michael Kamau ruled that the EACC lacked the capacity to perform the core function of investigations. They want the court to issue an order discontinuing their prosecution.